Multiple sclerosis sufferers and our planet are both faced with an urgent situation: they are afflicted with a degenerative disease. An aviator grounded by this incurable disease has decided to fly around the Arctic Circle. He feels personally concerned by the tragedy unfolding beyond the 67th parallel north. 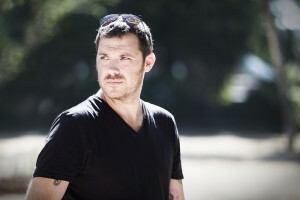 At the age of 34, Loïc was a pilot flying the legendary PBY Catalina flying boat, a patrol bomber and veteran of World War II, when he was diagnosed with multiple sclerosis and he was obliged to hang up his wings. Three years later, he remembered that an aviator dies if he gives up the fight and lets go of the controls. So he is seizing one last chance to fly again and take up once more the journey he has devoted his life to. This chance is available thanks to a group of friends and a specially adapted ultralight amphibian aircraft. Supported by a top-flight team, he is going to be able to take to the air once again and continue the life adventure that has always driven him forward. The chance to get to know the Arctic, its peoples and its wildlife, who are under threat as he is. To get away and fly, to defend a simple idea: whether what is at stake is the planet or own health, the battle is only lost if we give up the fight. Men and women uniting around a shared idea: the Arctic World Tour is getting off the ground. The Arctic World Tour is a commitment: to fight illness, against the idea of irreversibility, against global warming and the disasters due to climate change, in favour of protecting the Arctic sanctuary and its local special and cultures, for the right of every human being to be born and live in a protected environment, for everyone’s future. Because everything is interconnected. This 17,000 kilometre-long trip in thirty stages crosses Lapland, Siberia, the Bering Strait, Alaska, the Yukon, the Northwest Territories, Nunavut, Greenland, Iceland and the Faroe Islands. Why the Great North? Like Loïc, these regions are experiencing degeneration on a daily basis and their days are numbered. Here we can observe the results of decades of economic, energy and environmental policies and the urgent need for protective action. In the immense expanses of the Arctic, the expedition will be going in search of recipes for resilience, to fight against fatality, isolation and paralysis. This is an invitation to everyone to stand up against the prevailing winds and a message of hope for those who are suffering. 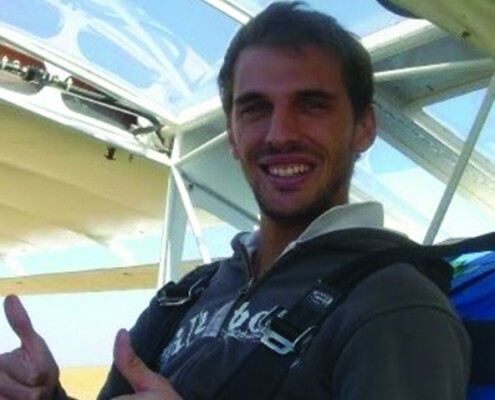 Flight instructor, demonstration and airline pilot, a committed volunteer with Aviation Sans Frontières, winner of the Patrick Fourticq prize, Loïc was flying one of the last PBY Catalina flying boats still operational when a multiple sclerosis diagnosis meant he had to give up his pilot’s licence. At that time he was the only Frenchman and the youngest pilot in the world qualified to fly that aircraft. He is a free spirit who was as comfortable with an aeroplane joystick as with a guitar fretboard and a Remington keyboard. Today he is disabled by a disease that is as debilitating as it is unpredictable. Nobody knows what state he will wake up in on each day of the journey. That is why he will have the support of his peers, who will be there to help and stand in for him when needed. The experience, companionship, determination and commitment of each of them will be needed to pull off this challenge. To accomplish this mission, he is racing against the clock. Every month, he has to undergo infusion treatment. So during the trip, he will stop off in Alaska to continue his treatment in a local hospital. In the eye of the storm in 2014, Loïc crossed paths with an Indian doctor who offered a traditional approach combining diet, meditation, massage… The results have been surprising. Even though it cannot cure the disease, this treatment has given Loïc back the vital energy he was lacking. It has helped him understand that everything is interconnected and that a global approach to the human being and his environment can offer at least a partial solution for those confronted with such illnesses. This realisation was what led to the idea for the Arctic World Tour mission. Today Loïc is involved in the creation of tools to make life easier for sick people, inspired by aviation culture. « Having multiple sclerosis is a kind of permanent fault management, » he says. He came up with the idea of developing an application that could help sick people to be more independent and give them the chance to manage their illness like you would an in-flight failure. 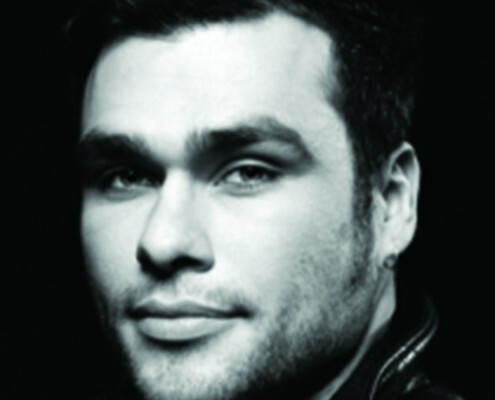 He is the glue that has enabled Loïc to hang on to his wings. 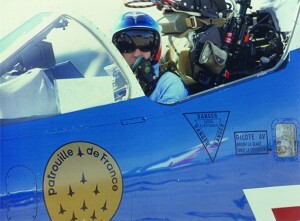 An airline pilot, flight instructor, former fighter pilot and member of the Patrouille de France display team. He supported Loïc from the earliest days of his illness and will be doing so once again as this mission is prepared. He is also in charge of the evaluation and prior risk management aspects of the mission. A former pupil of Loïc’s, an aerospace engineer, he brings his skill as a pilot and his human qualities to the mission. 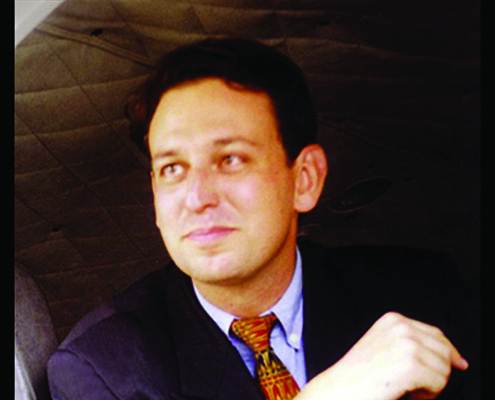 He is also an example of the spirit of companionship that underpins the aviation world. Mark first discovered ULMs in 1981, when he was just 11. 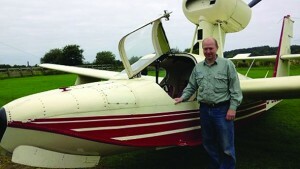 In 1993, he embarked on the aviation adventure, taking his first flying lessons in Northern Ireland. Passionate about seaplanes, he continued his training in the United States. Mark is now President of the Ulster Seaplane Association. An instructor and examiner, with extensive teaching experience, he will be flying the Lake Amphybian, a seaplane providing logistical backup to the mission. Alain is what we might call the expedition‘s Swiss knife. The jack-of-all-trades in charge of preparation and logistics, operating from his base in Paris. He is specialised in particular in the operation of historic planes and the organisation of missions with them: a Catalina for South America, a DC3 for New Zealand, some Warbirds for Lucasfilm… among other tours de force. Out of fuel in the middle of Siberia? Alain will parachute in a tanker of fuel. Been there, done that. And in his bag of tricks, there’s also a career as a photojournalist. Photographer and video journalist, he is in charge of the audiovisual side of the mission. An adventurer at heart, Gaspard has been involved in this adventure from the very outset. He has spent the last eight years wearing out his shoe leather on remote trails, from the Sahara to the foothills of the Tien Shan. He shares with Loïc a fundamental desire to travel. Expert in survival under extreme conditions, a frequent traveller ever since he took his first steps, Denis is fighter bursting with natural enthusiasm. He is preparing the team in the survival scenarios in case they break down in deserted, hostile terrain. 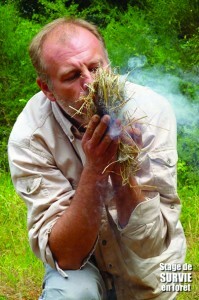 He is the author of a book entitled "Survie, mode d’emploi". – for the endangered populations around the Arctic Circle. – to the impact that climate change is having on the Arctic, its peoples and its wildlife. – the cause of the cause of the Arctic sanctuary. – fundamental research on multiple sclerosis. Multiple sclerosis (MS) is the most common neurological disease causing disability in young adults. There is no cure and the number of sufferers is constantly increasing. The causes of MS remain unknown and the damage it causes is irreversible, leading to physical and cognitive disability. The disease most often appears while sufferers are still young. At a time when they are still building a life for themselves, they find themselves cut off in their prime and lacking the energy to rebuild their lives. 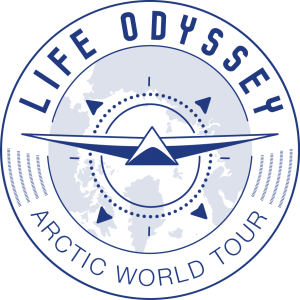 The Arctic World Tour odyssey aims to break the vicious circle of fatality, open up new horizons and breathe fresh hope into lives. The Arctic World Tour operation also aims to raise funds for fundamental research, in a similar way to the Telethon operation. The hope is that such research will one day explain the causes of the disease and lead to preventive measures that will protect future generations. The seaplane chosen for this expedition is a latest-generation ultralight model. This amphibian plane, tailor-made for adventure by its designer and named Polar Bird for the mission, is by nature respectful of the environment: silent, consuming lead-free fuel in small quantities. Per kilometre covered, it consumes less fuel than most modern city cars. It is one of those pioneering aircraft that will characterise tomorrow’s aviation world. This mission is intended to have zero impact on the environment, whilst raising the public’s awareness of the importance of an ecosystem that is fragile and precious. Its carbon footprint, however small, will be offset. Underneath the cockpit canopy there is the title of a rock’n’roll classic: Have love, will travel (Richard Berry). For the Arctic World Tour team, it is essential to raise awareness among present and future generations about environmental health issues, disability and the major challenges of the 21st century. Solidarity and a responsible attitude to others and our environment and cooperation in the face of adversity are obvious and realistic answers. For this reason, the team wishes to develop educational tools and organise talks to present the conclusions of their work. Because demonstration is always better than explanation, the Arctic World Tour mission is the perfect illustration of the approach behind all the activities of the Life Odyssey association: the implementation of a set of tools and strategies to help sufferers of diseases like MS to win back some independence. The mission’s progress will the subject of daily reports on the expedition’s website and in the partner media, so that everyone can share in a profoundly human experience that brings people together. As the expedition crosses the Arctic deserts, the theatre of all geopolitical challenges of the 21st century, a series of documentaries (52′) and web-documentaries (7′) will track the daily life of an aviator suffering from multiple sclerosis who has taken up an extreme challenge, one made possible by the support of friends and family. This people’s traditions and the many issues around their protection.